Hello, I’m Jim Glover, That Branding Guy, for Once a Day Marketing™. On our radio show Ask Those Branding Guys™, we discussed branding with the New Mexico Rail Runner. Joining us on the show was Jay Faught, Marketing Manager, and Allyne Clarke, Advertising Sales Manager, for the New Mexico Rio Metro Regional Transit District. We talked about branding for the Rail Runner commuter train that has been in service for nine years. Business commuters are the Rail Runner’s primary customer and the service is positioned as a convenient, relaxing way to travel. The train offers free wi-fi, quiet cars and a beautiful view. Rail Runner offers businesses an opportunity to advertise on the train’s 40″ screens to reach the commuter audience spending an hour or more on the train. To promote awareness of the Rail Runner, they have increased their presence in the communities served through booths at local events and sponsorship of community activities. The upcoming advertising campaign called “Why to Ride” is based on feedback from current riders. 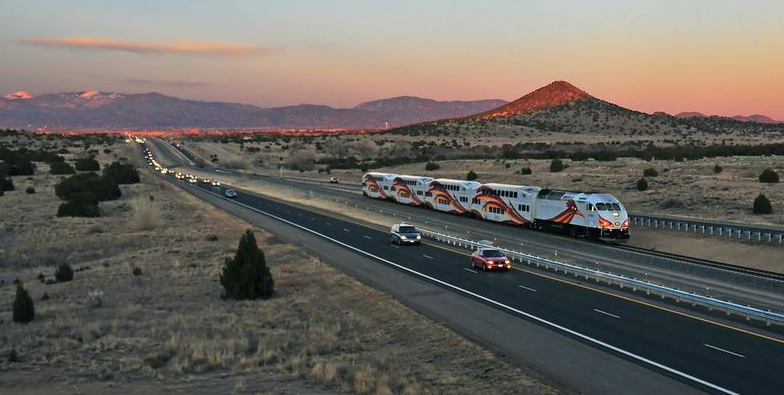 Rail Runner’s most successful advertising has been the “Next Generation” campaign which shared the message that the train will become increasingly important to today’s children since traffic in the Albuquerque – Santa Fe corridor is expected to increase 100% in the next 20 years. Challenges around increasing ridership include the length of time it takes to travel between Albuquerque and Santa Fe. Focus is being placed on reducing the travel time through additional track and speed limit changes. Also, mid-day schedule is not as robust as it could be. An app is in development that will enable customers to obtain tickets as well as bus transfers and use their smart phones to display their ticket. The app will also include a “where is my train” feature to enable users to determine exactly where their train is. « Is Your Product Succeeding On the Shelf?